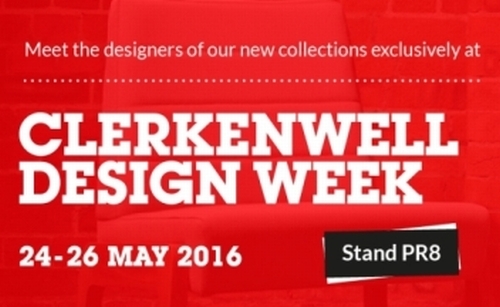 Clerkenwell Design Week is just around the corner! Meet the designers of our new collection exclusively at Clerkenwell, we will also be presenting our extensive portfolio of products that can be tailored and manufactured for hospitality, workplace and healthcare environments. As well as showcasing our new and existing portfolio, which has been manufactured in the heart of Yorkshire, we have a couple of locally-sourced surprises for visitors to our stand, including specially brewed Knightsbridge beer from Bradford Brewery and steaming cups of good old Yorkshire tea. We look forward to seeing you on stand PR8 in the Project Pavilion!